See how many exclamation points I used there? That’s because it’s true. Colour is fantastic and exciting and one of my favourite things. I’m stoked to share with you! Now, I’m by no means a colour expert. It’s an enormous field that goes back hundreds of years, and you can spend your life studying colour. In fact, it’s quite easy to become obsessed. Don’t worry though, there’s a support group. I do, however, love design and branding, and spend a lot of time considering how important they are when running a business of any type. The fact that photography is such a visual field only serves to reinforce the importance of taking the time to carefully choose the colours you will be putting out there to represent you! Colour Wheel by Boutet. 1708. Now, I don’t think you randomly pulled colours out of a hat when you were choosing them for your business. I suspect you fiddled around in Photoshop for a while, found a couple colour values you liked, ones that just felt right, and then you were off designing your webpage and getting business cards printed up. That’s the way I suspect many people, artists in particular, work. They base decisions off of how they feel. I know that’s how I chose a lot of colour palettes in my time. And there’s certainly nothing wrong about doing things that way. I’m sure many a beautiful palette has been created using that method. However, the problem with that method is that it’s not consistently replicable. Nor is there a real, foundational understanding that directs your decisions. Your decisions could vary wildly depending on whether you were feeling particularly tired, happy, frustrated, sad, nervous or just plain bored at the time you were looking at colours. Not good! 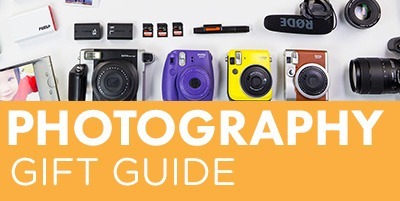 Instead, any photographer who is planning to create their own colour scheme should at least have a basic understanding of a bit of colour theory to help them make informed decisions that have purpose and meaning behind them. And yes, I really do think colour is important enough to require purpose and meaning! And as an added bonus for your investment in learning about colour theory? It goes beyond branding, of course! You’ll be able to choose locations and colour schemes for your images that will help strengthen your skill as a photographer. Bonus!! First, let’s consider your portfolio/website/blog; it’s your online presence that will be the first point of contact for many of your clients. It usually consists of a box of content, surrounded by a repeating/solid background. These days computer monitors are simply getting bigger and bigger, which means that more of the screen will be filled up with your background. And what is that background usually consisting of? Sometimes a pattern, or texture, but the predominant feature of a website background is almost always the colour. Take a peek at your portfolio/website/blog and tell me how big your logo and business name are compared to the background. If you’re using a decent sized monitor, the background will almost always take up WAY more space. So it’s easy to see that the colour of your website background will likely make a big first impression on your client. It simply takes up a lot of space and can’t help but catch your eye! What’s even more important to understand is that colour makes a subconscious impression in the mind of your viewer. In every culture colours have meanings. They evoke feelings and emotions. It goes beyond just emotions though! Colours actually can trigger physical responses like increased heart rate, or enhanced concentration. The colours you’ve chosen are making LOUD statements about you. Are you paying attention to what they’re saying? Another reason to consider your colours carefully is that they can become very easily recognizable. I might not be able to tell you exactly which typeface Tiffany uses, but I sure know what colour they are associated with. The logos for both Pepsi and Coca Cola have evolved a lot over the years, but the colours they use have not varied. In the event that you want to change your logo or main typeface, a consistent colour can maintain brand recognition and familiarity. And yeah, those are probably things you want. A final reason I’ll mention is that by simply maintaining a consistent colour through all of your marketing materials, you easily create a more professional appearance. There is obviously a LOT more to it than that, but if you start off just making sure your colours are consistent in every single point of contact your clients have with you, they will have a much more fluid and enjoyable brand experience. There are a LOT of great resources out there that will tell you the meanings behind different colours. I’ll link to some at the end of this section, but I won’t get into that here. What I think is more important for you to work on first is deciding what you want your colours to say. So before you start getting your grubby hands on some tasty colour palettes, stop and use your brain. Grab a pen and paper. 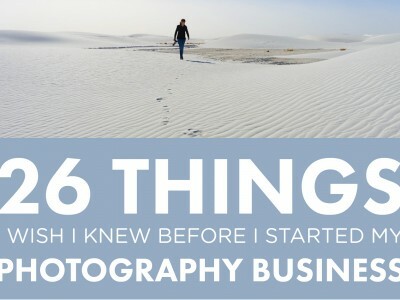 And think about your photography business. What impression do you want to give your clients? Are you fun? Modern? Romantic? Edgy? This impression should come from your images, your branding, and your persona. So think carefully. If all of these aspects of your business aren’t aligned, you’ll give your clients a very disjointed and confusing impression. Once you’ve taken the time to think carefully about the impression you want to give others, then it’s time to consider which colours will enhance that feel. aybe two. 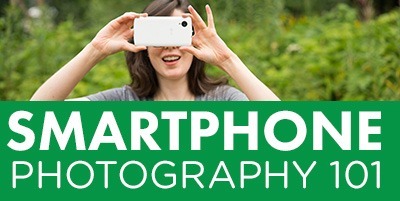 After all, we’re photographers, not graphic designers. As important as I believe this stuff is, it’s NOT as important as getting out there with a camera in your hand and shooting! So if you’re new to this stuff, I’d suggest latching on to one or two main colours, and building around that. The finale of the whole process is putting together a complete palette to work off of. Something that will direct all your design, from your logo, to the colours of your pricing PDF, and even the tissue paper and ribbon you use. But how on earth can we create that without needing to study colour theory for hours and hours? Allow me to introduce to you to a good friend of mine: Adobe Kuler. 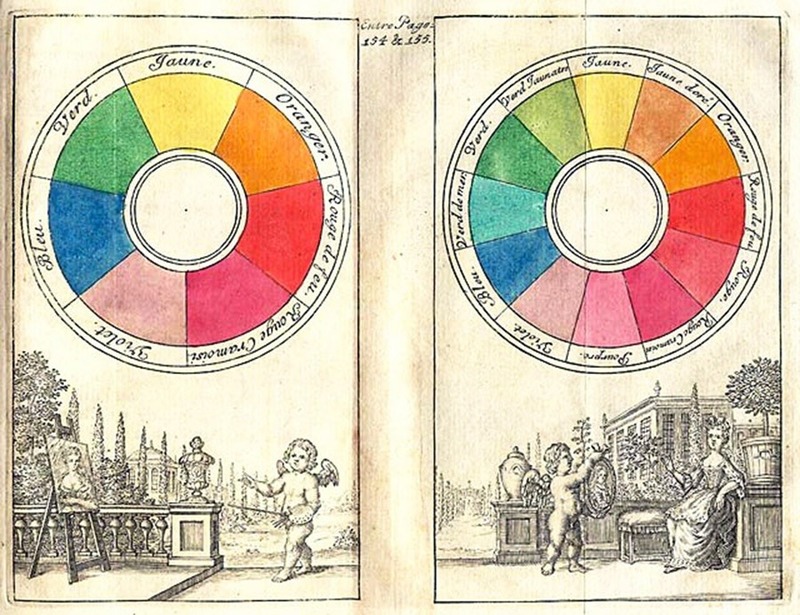 Kuler is an amazing and diverse resource for creating colour palettes. I suspect it is made of unicorn laughter. Here’s a video that will give you an intro. We installed the Adobe Ideas app onto our iPad, which can take any image from your portfolio and instantly make a kickass colour theme from it. Rob made about 10 that totally blew my mind in a manner of minutes. 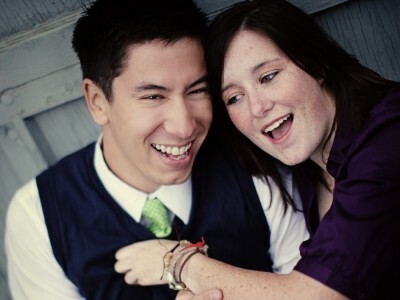 Here are a couple I made in about 2 seconds from recent portrait sessions of ours. Pretty cool palettes, in my opinion! Once you’ve settled on your colour palette write down the RGB, CYMK and Hex values in a file that you can easily access any time you’re designing. Throw in swatches, as well as guidelines for how you’ve been using the colours. That way you will ensure consistency! 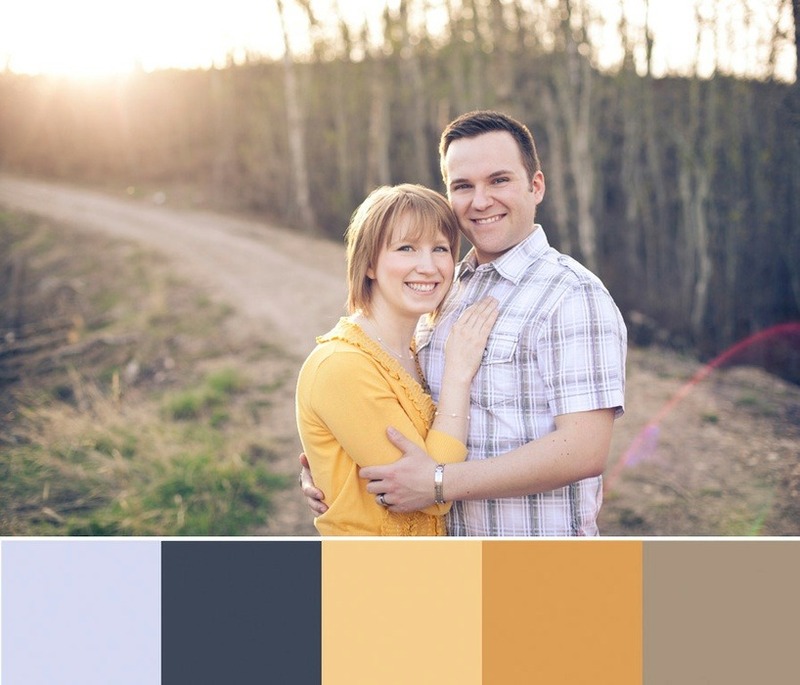 Take that colour palette and show it to some friends, family, and past clients. Have them write down three words that come to mind when they see your colours. Take careful note of whether or not those words jive with the feeling you’re going for. By this point I’ve hopefully convinced you to spend a bit of time learning about colour theory! 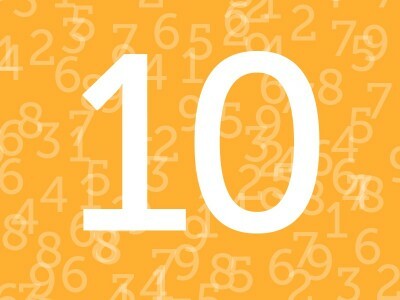 If you choose to accept that mission, here are some great resources to get you started. Smashing Magazine’s Color Theory for Designers. Part 1. Part 2. Part 3. So as you can see, it’s actually insanely easy to make incredible colour palettes. If you use Kuler, and back it up with some knowledge about why and how colour is important, you’ll be on your way to a great looking brand that tells your clients exactly what you want it to! And you’ll look good doing it! Do you love colour? Tell me about it in the comments! 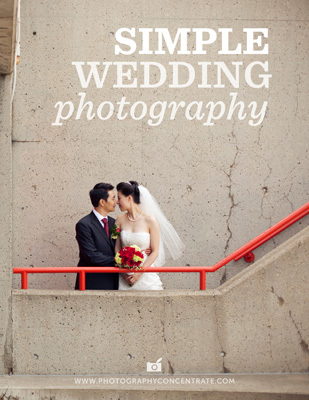 A complete guide to photographing every step of a wedding, beautifully. PLUS learn how to build a successful business and make more money, with less effort! ditto what steph said. Such a neat post! Great timing! I am trying to figure out my brand, and this is awesome information to help with that! love this post!! can't wait to go through thse resources and learn more about color theory! very cool! Marking this for future reference! Thanks so much! Not that I give the term "personal branding" a lot of thought but after reading this I'm thinking that being consistent with colour could be as important as being aware of the written messages you send out online (in the form of facebook, twitter, blogging). I rediscovered this article when I was refreshing my blog. HOLY CRAP, Adobe Kuler is cool! I was so excited with it. My wife just did not understand. I am so pleased that I am not alone in my obsession for colour. It’s just wonderful and I’ve surrounded my life with it to the point where my books, CDs, DVDs and files are organised in rainbow colour order. Don’t judge me, it’s a disease! Anyhow, this is a great post! Thanks for all the links. I have downloaded an app to my imac called Color Utility (note US spelling) that sounds like it does a very similar job to kuler. And like wise I have an app on my iphone called Color Pair (and again), which allows you to take a photo of a colour and it will show you all the contrasting / complimentary colours. I find it very useful when styling outfits. Love it!! Very helpful tips, thank you!! Wow! An amazing article and super helpful (as always)! 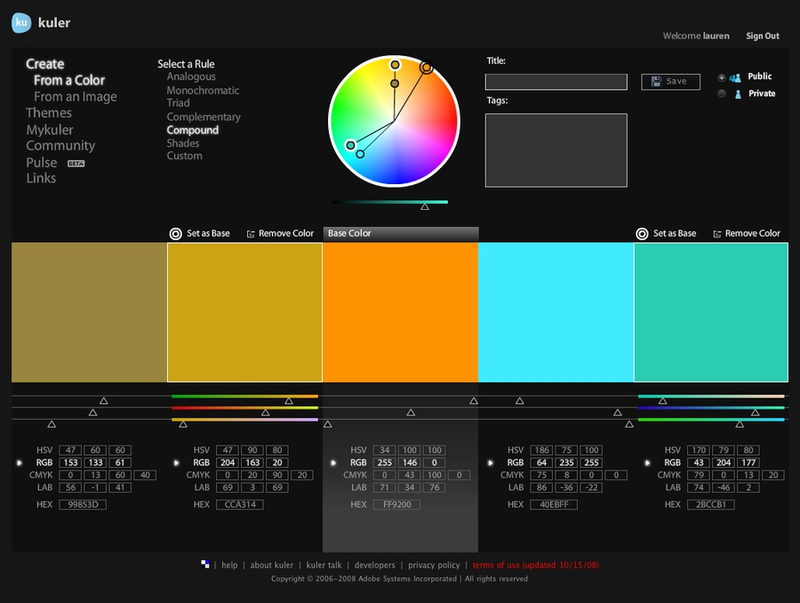 The Adobe Color site is “the bee’s knees” and my elders would say. :) Oh! Speaking of, check the link for Adobe Color (Kuler) in your resources section; it’s leading to the Color Theory for Designers site instead. Thanks for writing, and continuing to write super awesome content! Great post. Buy I am still not very clear on how to put those colors into my photographs. Thanks.